Olie Berlic imports the first three of these. His website, belezapura.com, is a great cachaça resource. A terrific white (i.e., unaged) cachaça with a scent that recalls fresh sugarcane and cut grass. Cerejeira wood gives this amber-colored sipping cachaça distinctive smoke notes. 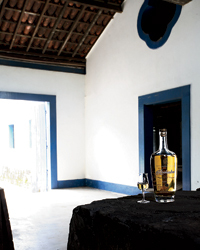 Rubi, an eight-year-old sipping cachaça, is smooth, with green-olive aromas. This tangy, dry white cachaça is complex and focused. This white cachaça is peppery and clean—a good introduction for vodka drinkers.